Video-recorded here in full form for the first time are two important pieces from the kuniburi-no-utamai repertoire. 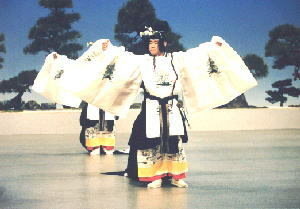 Both are reconstructed modern-day descendants of songs and dances presented to the anciant Imperial court by inhabitants of outlying provinces, as evidence of their loyalty to the throne. 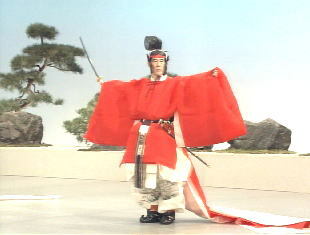 Both are performed at Shinto ceremonies, and only rarely in public by the musicians of the Imperial Palace.